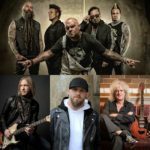 Paris-Move, April 16th 2019 – The Biggest names in Rock and Country join forces for the collaboration of the year: Five Finger Death Punch, Brian May, Brantley Gilbert & Kenny Wayne Shepherd release mainstream Country Rock single “Blue on Black”! Artists & Labels to donate all proceeds from the song to the Gary Sinise Foundation in support of first responders. 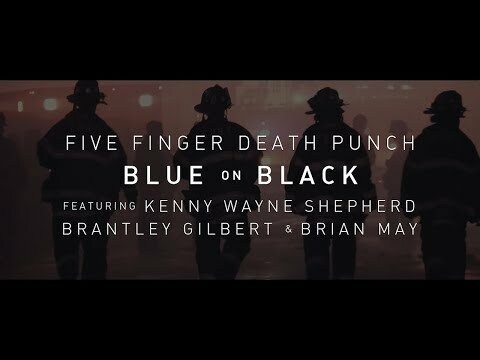 The artists and their respective labels are donating all proceeds from the collaboration version of ” Blue on Black ” to the Gary Sinise Foundation which honors America’s defenders, veterans, first responders, their families and those in need. 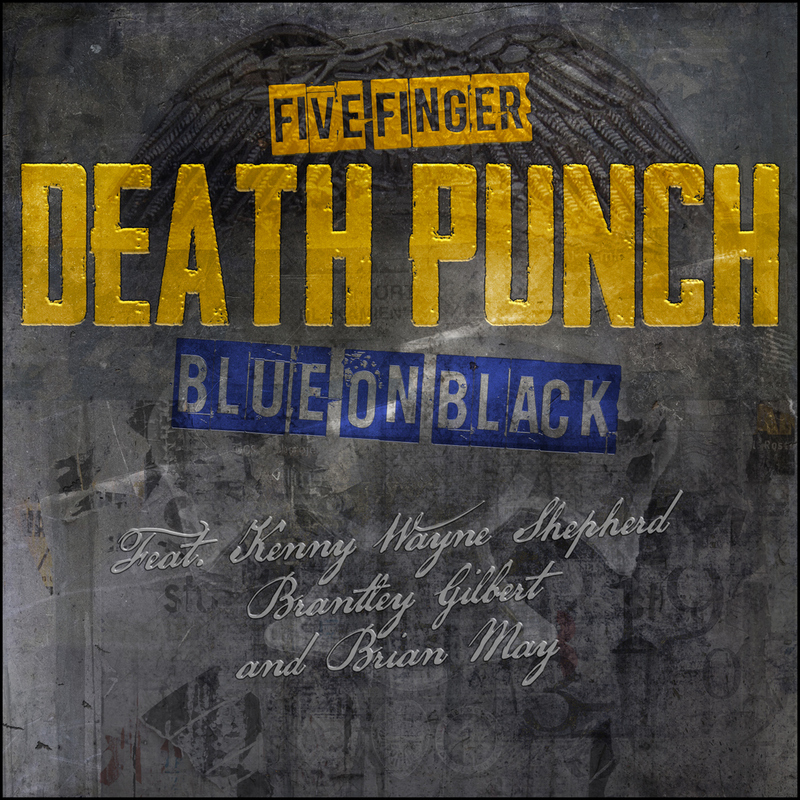 Additionally, Five Finger Death Punch’s original cover version of “Blue On Black” has already generated over 50 million on-demand streams in the US, and is one of the most-consumed songs on the band’s current album (averaging over 1 million US streams per week). The song features distorted guitars, pummeling percussion and a swaggering chant that marks a surprising outlier on FIVE FINGER DEATH PUNCH’s current and seventh studio album ” And Justice for None “. In the US alone, FIVE FINGER DEATH PUNCH have sold 4.5 million albums, 10 million digital songs and over 3 billion streams total.